Okay, you're back, here they are! All made with products from His Princess Scrapbook Kits first kit packed full of Cosmo Cricket Early Bird materials! P.S. Don't forget the Grand Opening at His Princess Scrapbook Kits and the special Blog Candy to be given away next week - to find out more, click the banner above! I really like this page. It means a lot to me... As you can see in the photos below, my hubby is donating blood at the blood mobile on this page as Abby has fun sitting and watching. If you know my husband, you would know that although he is a big guy, he could pass out at the sight of a needle, however he is a regular blood donor. Wanna know why? He always says he does it with the prayer that if I ever needed blood, someone with my type will have donated too! How sweet is that!! He does it All For Me! 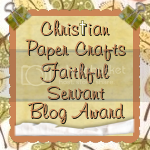 Many of my blog readers know that I am actively involved with the Christian Paper Crafts website! If you have signed up recently, you probably even received a personalized welcome email from me! Because of CPCMag, my Scripture Saturday's will probably be a little different from now on. 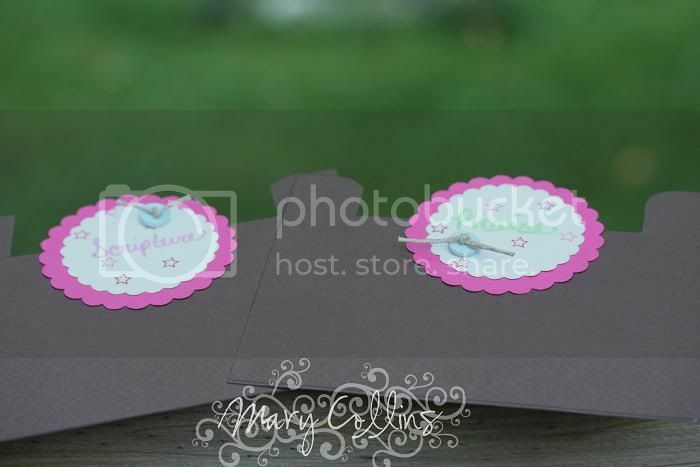 You see, as part of our commitment to being a Christian Paper Crafting Site with a Christian atmosphere, it is important that we keep Christ in the center of everything we do. 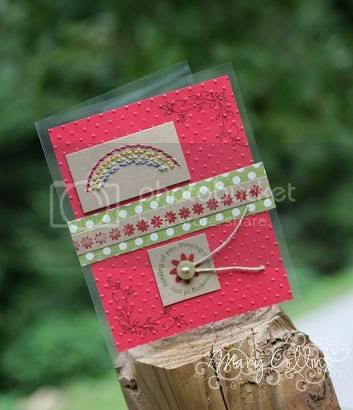 If you have taken a look at the challenges over on the site, you may have noticed that Thursdays are Bible Verse Thursdays where the challenge is to make either a card, altered item, or scrap layout with a verse. Wanting to step that up a notch and make it more specific, I will now be hosting my Scripture Saturday's at CPC! 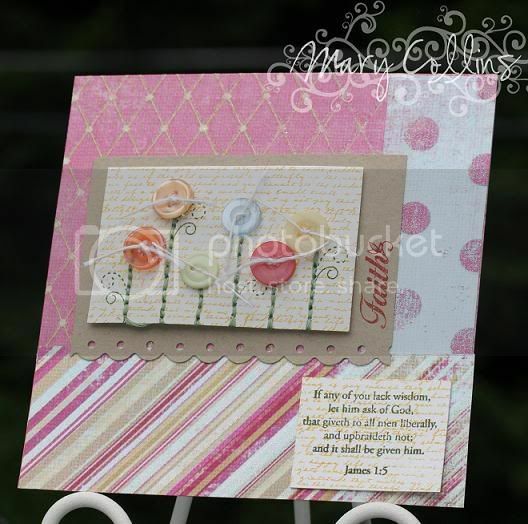 On Scripture Saturday, I will post the scripture for you to make a scrapbook layout with! As we are trying to appeal to all realms of paper-crafting, we felt it important to add a space just for Scripture on scrapbook pages. 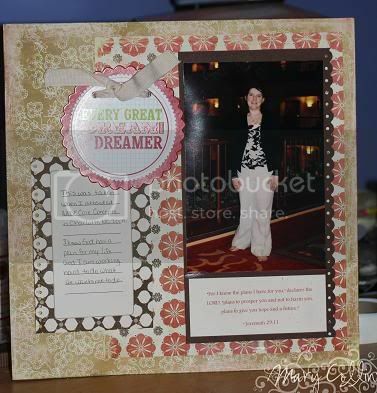 So, if you have never scrapbooked before, but have always been looking for the time to start, here it is! 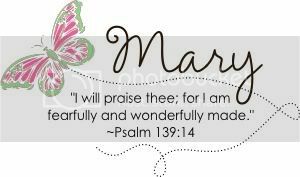 I challenge you to join me on Scripture Saturdays, use the verse and go with it. It doesn't matter what size you decide to scrap, the possibilities are endless, just go for it! If journaling has always been your problem area, why not let the scripture be your journaling and include a note (even on the back of the page if you wish) of who is in the picture and the event! If you are a die hard journaler, or even a mediocre journaler like me, you can write what it is the verse means to you or whatever else tickles your fancy! P.S. 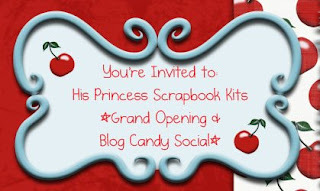 Don't forget the Grand Opening at His Princess Scrapbook Kits and the special Blog Candy to be given away next week - to find out more, click the banner below! A challenge over at CPC was to make a Prayer Journal. 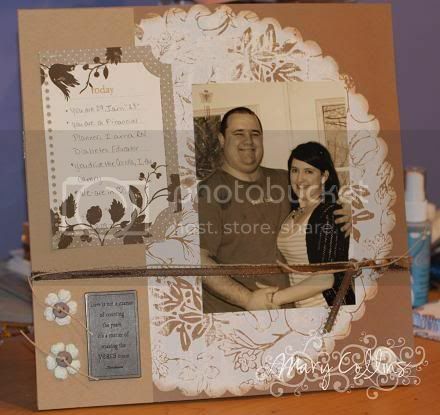 Since the journal idea was not working out too good for what I wanted, I decided to do a Prayer box instead, using one of the Timeless Templates by Lauren Meader... I also made little dividers to separate everything - I divided it into Scripture, Petition, Praise, and Goals! I highly recommend this for anyone to do. It is really helping my with my prayer life more than I thought it would! Don't forget to check out all the fun things happening over at the CPC website!! Good Monday morning! I had a special post ready for Saturday and guess what? I couldn't get Wi-Fi connection anywhere while we were out of town!! We did have a wonderful trip and made it back in time for Sunday school yesterday morning thanks to hubby driving us home - EARLY! 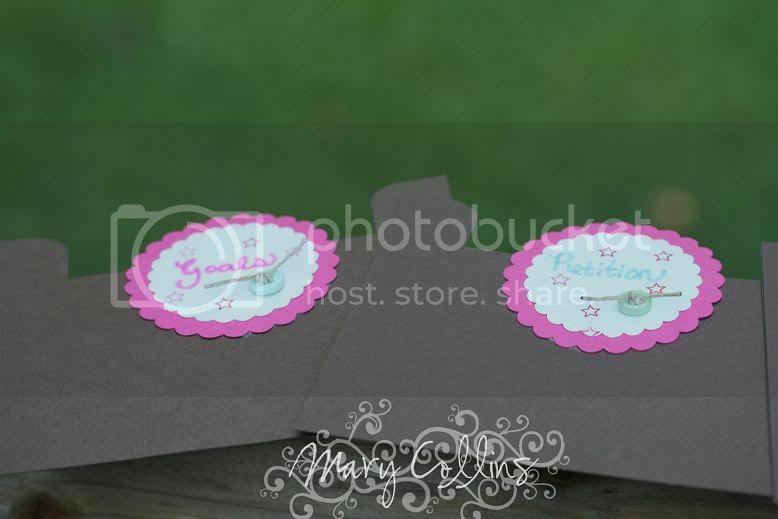 If you have ever stopped by my blog before, you probably know what a huge fan I am of Christian Paper Crafts website. If you have not stopped by there, I encourage you to do so by either clicking the icon to the right or here. 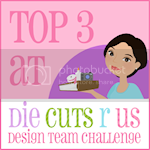 There is such a fun challenge going on over there now about a Faith Journal. I have titled mine a Faith Book. You can get the details about it by clicking here. This is the front cover of mine! I decided to make mine out of cardstock so that I can add to it as a go, making enough room by being able to add more pages, while not having to worry about having too many blank pages left at the end! 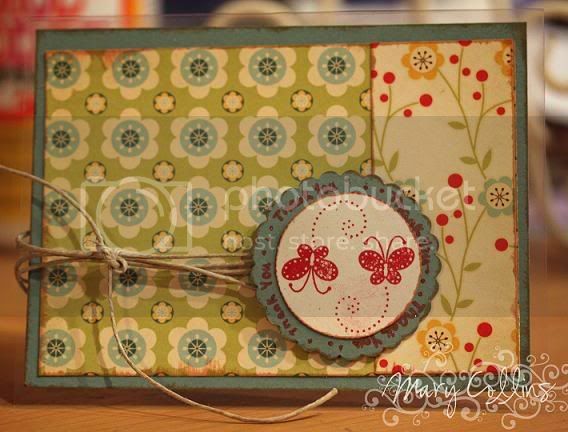 I used Heavenly Medley stamp set and Women of Life stamp set from PTI, along with some stitching, buttons, and My Mind's Eye Papers! This also fulfilled the challenge last Thursday to use any Bible verse!! Please check out CPC to start yours too! I hope this becomes a wonderful treasure to Abby and many generations after her! Yippee!! I am so glad that it is Friday! We are heading out for the lake this evening and I am so excited! I love these little weekend get-a-ways with the family :o) So without further a due, here are my takes on the 2 Sketches 4 You sketches for this week! 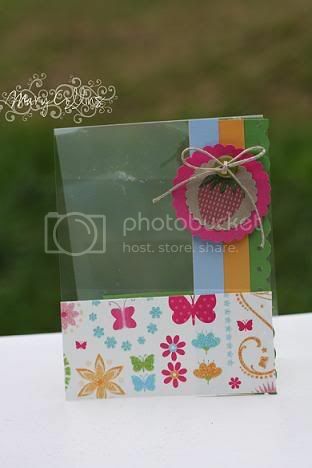 Yes, I do admit that I have a total obsession with clear cards and probably do make them too much! So sorry if you are growing tired of them! 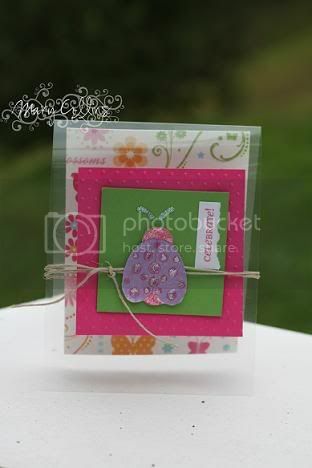 Head over to Christian Paper Crafts and see what's going on there this weekend!! Good afternoon everyone. Today I wanted to share a Bible lesson with everyone about the Golden Rule. I constantly "preach" this and pray that my actions help to teach this. Many times in the Bible, the Lord tells us and gives us examples of how to and not to treat one another, yet somehow, it often gets so messed up! I think what hurts the most is either when a Christian hurts another Christian due to not obeying this rule or when a Christian hurts a non believer. How hard it is to win someone to Christ when they have been mistreated by a Christian. On the other hand, as Christian brothers and sisters we are supposed to work together for the Lord, to encourage one another, and lift one another up. 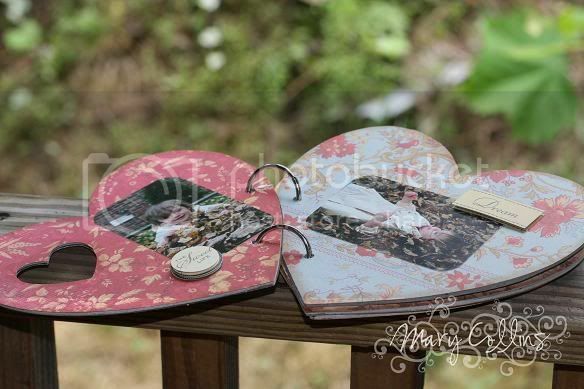 Sisters, how sad is it that many have let paper-crafting and scrapbooking - a topic that could bring us all together in the Lord closer - become an envying topic and a stumbling block. God truly does give us all unique gifts, and we all function at different levels of our gift, but everyone deserves a fair try. Everyone starts somewhere, all things must have a beginning. My little book today has sat on top of my old Singer sewing machine in the living room, I guess since I made it last fall. I loved playing in the leaves with Abby, because when she was so little and new is when I was sick and I worried over whether or not I would get to enjoy these little moments with her. God has richly blessed me to not only enjoy it, but photograph it, scrap it, and create a memory to treasure forever. (For some reason when saving the pictures, the second and third page saved as EVERY other page... that's why only pages 1-3 are included today). Perhaps on a day when I need another pick me up, I will share the rest of these serene little treasures - pictures of Abby! Wow! How long has it been since I have done a 2Sketches4You sketch? Too long - that's what I thought, too! The Lord blessed me with the time to make this today while my sweet little Abby was watching Veggie Tales! We are truly so blessed that God sent her to us! 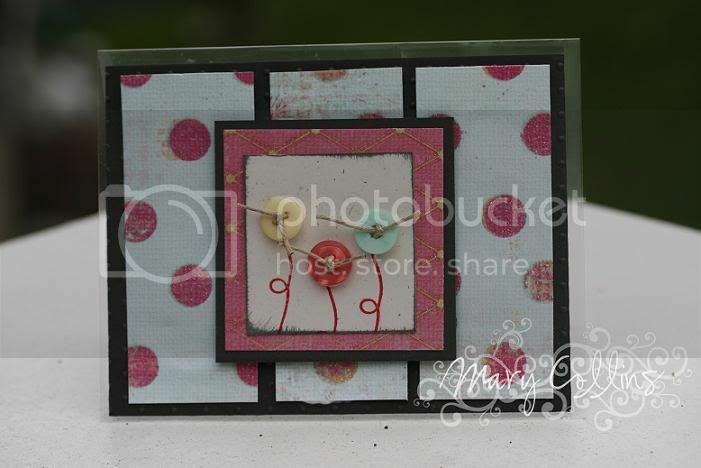 I loved making this card, of course again, it is clear! I used Around and About Sentiments by PTI, Heavenly Medley by PTI, Garden Green ink by SU, Pure Poppy Ink by PTI, a random button and some jute!! Hope you like it!! 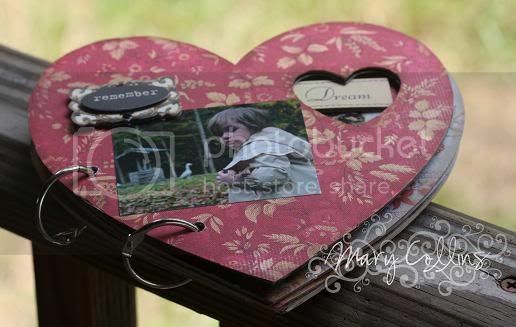 If you have not stopped by the Christian Paper Crafts site, please do so - there is a link to the right as well as if you click on the name! There are a lot of fun and exciting things going on over there!! Ugh - believe me, it has been a long time. It seems as if every time that I wanted to blog, the devil found a way to keep me from it! 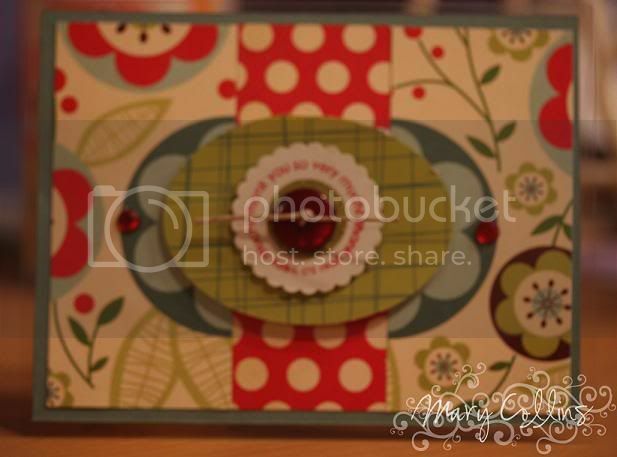 I made this little card the other day when Abby and I were playing around upstairs! I hope you like it! 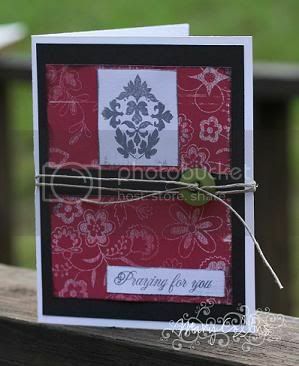 I just had to have the Damask stamp set by PTI when it came out, but had only used it once! I am trying to do better on that...(buying something with the best of intentions and then not putting it to use)... I think I am going to skip the PTI release this month *shock shock*, because of the amount of supplies I have that have not been touched yet! Keeping with the theme of Scripture Saturday, I am going to add a verse about prayer to the inside. Please comment with your favorite "prayer" verse!